I did not see any Russian, global (english), or turkish language sharing in the first place in the world. 1. First you need to get root permissions from the fingerprint section of Meizu settings. 2. Later we download the Android Terminal Emulator (we used Termux) from Playstore. 3. We turn on Termux and give root privileges. Do not forget to always remember. 4. Next we will say "su" to get the superuser permission first, then "123456789012345" =IMEIWRITEHERE. WHERE YOU WANT TO WRITE. PREPARING THE ORIGINAL IMEILORS FOR UNFORGED DEVICES FOR THIS ISSUE DEVICES. Each line is a command. You will say enter sequentially. Excellent, thank you. Im sticking this thread. I am thank you. All we want is the "STUCK FIRMWARE" solution. I'll add it on your side. And the biggest problem that i have is that my phone is stuck in (boot loop.) the only thing i want is to be able to enter into the system again, it doesn't matter if it is A or G. My phone is stuck like a rock, i can't do anything with it. have you found any solution ? are you not on the boot loop. now ? 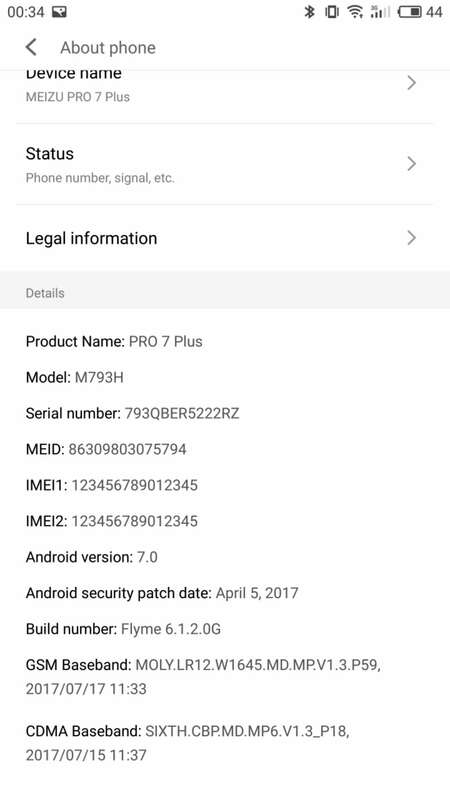 Bootloop problem occurs when you buy your Pro 7 in China websites (like Aliexpress) because the seller made a dirty flash, this means they modified the system so you can have A firmware with Muti Language, and when you try to change the firmware you will be greeted with a Bootloop because of illegal sellings. So I finally realised what I was doing wrong whilst entering the commands. The mobile forum site has the command down as four sperate lines (therefore commands). The commands still haven't removed the null IMEI and attempting to update my mobile has therefore failed. DRTOLGA： the gentleman will write the imei number instead of 12345. It works very well. the gentleman will write the imei number instead of 12345. It works very well.